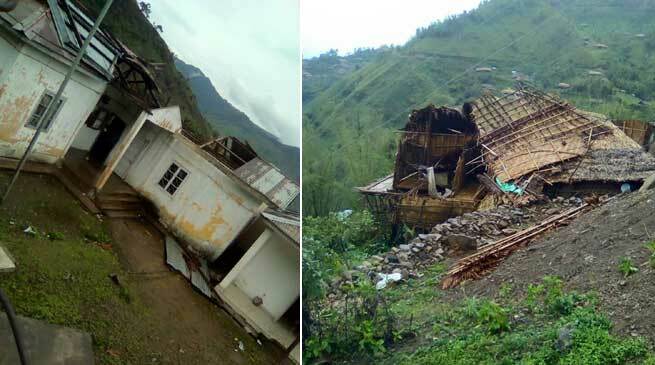 Concerned over reported wind storm that caused huge damage at Wakka Circle headquarter on Friday, Chief Minister Pema Khandu has directed DC Longding to constitute spot verification board to assess losses and submit its report to the government urgently. Reportedly, Wakka Circle Office building was badly damaged while many dwelling houses were also affected. Though no human casualty was reported, a person sustained minor injury which is being treated at local hospital at Wakka. Khandu cautioned citizens to be alert and stay in preparedness to tackle such nature’s fury.